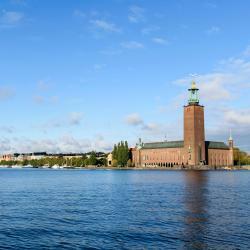 Looking for hotels in Södermalm? 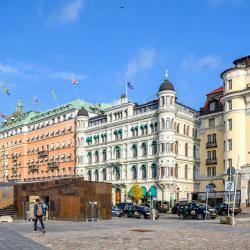 The family-owned Hotel Hornsgatan is located in the trendy Södermalm district in Stockholm, 492 feet from Mariatorget Metro Station. It offers rooms with cable TV and free WiFi. The hotel was fantastic- in a great, hip neighborhood, near a metro stop, and surrounded by restaurants, bars, and quirky shops. You can easily walk into the old town and to other attractions from there. The wife/husband owners were a great team and very friendly. They provided a lot of helpful advice and made me feel at home in their city. Breakfast was Swedish standard, which to me was perfect. The shared bathroom set-up for my room was fine. I never had to wait once and they were always kept clean. 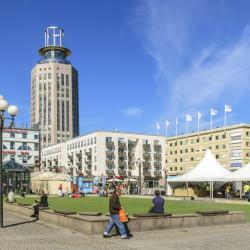 In vibrant Södermalm, this hotel is in a 1930s Art Déco building by Mariatorget Square. All rooms feature a flat-screen TV with a Blu-ray player and luxury beds. Wi-Fi access is free. Amazing hotel. Incredible location, beautiful rooms with great views, lovely staff, the list goes on. I live out of hotels for work so I know the good vs the bad and this is one of the best. I'd come back here in a heartbeat. Hellstens Glashus is located in the vibrant Södermalm district in Stockholm. 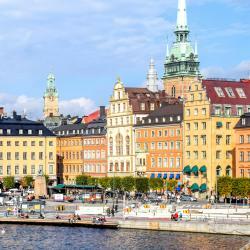 Gamla Stan, Stockholm's Old Town, is a 15-minute walk away. Everything was perfect! Thank you so much! 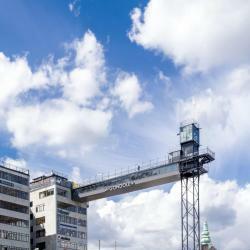 In the Hammarby Sjöstad district of Stockholm, this hotel provides free gym access and modern rooms with colorful décor and 40-inch LED-TVs. Mårtensdal Tram Station is right outside the hotel. Good apartments, nice personal. Located in the vibrant Södermalm district of Stockholm, the 18th century Hotel Hellstens Malmgård offers free WiFi and Gustavian-style rooms with period furniture. The 300 year old building is charming, with two outside spaces to relax over reasonably priced beer and wine. The location is a short walk from the Tban and busses. The breakfast is very nice with typical Scandinavian fare including eggs, whole grain bread and jam, granola, yogurt, herring, ham and cheese. A coffee/espresso machine is available all day. Remember, this is a very old building with small rooms, quaint turns and spaces and cobblestones and no AC. The staff are very personable and helpful. Top notch all around. Reasonably priced rooms, too. Our room was a bit small with a loft space that would be fun for kids. The bathroom was large by European standards. Beds were comfortable. In the Hammarby Sjöstad district, this hotel is 3 miles from central Stockholm and 215 yards from the Sickla Kaj train stop. It offers free access to Wi-Fi, a gym and a sauna. Nice hotel at 2 minutes away from the tram. Housed in a building from 1780, this charming boutique hotel is 984 feet from Medborgarplatsen Metro Station in Stockholm’s trendy Södermalm district. Great breakfast! Cosy boutique hotel in a lively neighborhood of Stockholm. 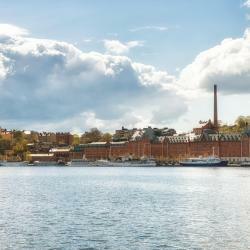 Centrally located between trendy Södermalm and the charming Old Town, this modern hotel offers panoramic views of the inner city, Lake Mälaren and Stockholm City Hall. Love the location. Only 4 mins walk from Slussen station. Lots of restaurants around the area. Walking distance to Gamla Stan, super easy to navigate from hotel to most places. Room was super clean and very functional. This hotel is housed in 2 buildings dating back to the 17th and 18th centuries, just 5 minutes’ walk from Stockholm’s Old Town. It offers city views and luxury beds. 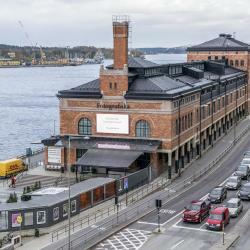 As many reviewers have said before, this hotel is literally right in front of Slussen metro (T-Bana) stop (see photo attached). So convenient if taking Arlanda Express into Central Station, it's an easy connection to the metro (and Slussen). 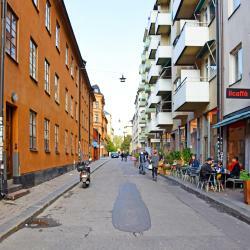 It's also located right between Gamla Stan (which is touristy) and Sodermalm (which is more residential but has such great cafes/bars)...walking distance to both. But possibly the best thing about this hotel: The terrific front desk staff! Super friendly and helpful, great advice even for specific locations etc. We stayed in the Family Suite, which has great views of Gamla Stan (see photos). Guests can enjoy fine dining and great views from this design hotel, which is just a few yards from Skanstull Metro Station in Stockholm’s fashionable Södermalm District. The price point is very good value for a 4* hotel in January. The staff were exceptionally friendly and made our trip very welcome. The room was comfortable and really quiet. Hotel Söder is located in the trendy Södermalm district of Stockholm, 820 feet from Medborgarplatsen Square. It offers free Wi-Fi and rooms with flat-screen cable TVs and private bathrooms with... 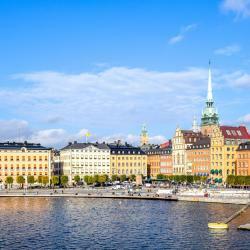 Very good location in the heart of Sodermalm. 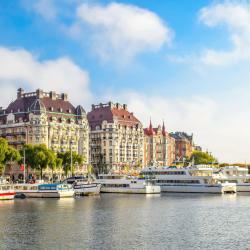 This cozy hotel is located on the trendy island of Södermalm, 650 ft from Mariatorget Metro Station. It offers bike rentals, free tea/coffee and an ecological breakfast buffet. The whole athmosphere was very welcoming. Långholmen Hotell is in a 19th century prison building on Långholmen Island in Stockholm. It offers free parking and unique prison cell rooms with flat-screen cable TVs and free Wi-Fi access. We attended a wedding at the hotel and decided we would also start there. 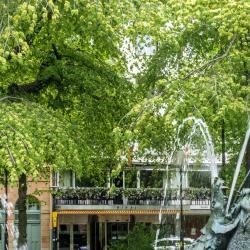 Located in the trendy Södermalm district in Stockholm, by the green oasis of Tantolunden Park, is STF Hotel Zinkensdamm. It offers modern rooms with free WiFi access. Wonderful breakfast. Restaurant for dinner really lovely, too. 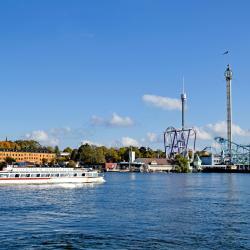 Located in the trendy SoFo district of Stockholm, Hotel Point is close to restaurants, cafes, theaters and nightlife. Great location, friendly staff and everything was clean! Scandic Sjöfartshotellet is located in the vibrant district of Södermalm, only a 5 minute walk from Stockholm’s Old Town. Heated tile floors in the bathroom were so nice! 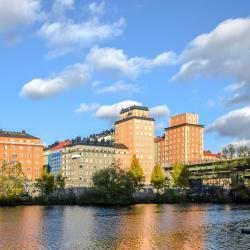 Scandic Malmen is right by Medborgarplatsen Square, in central Stockholm’s vibrant Södermalm district. It offers modern cuisine and no less than 3 popular bars. Super good breakfast with amazing opening times 07:00-12:00. Ms.